Designer. Wife. Mom. Teacher. Baker. Crafter. Balcony Gardener. And some other things. Color Friday is: Dove Gray! Dove Gray. This is a TOUGH one. So tough in fact, that I actually looked it up. Sometimes, we designers are so intimately acquainted with colors that we can “think” them backwards and forwards, but to put them into words is a challenge. Both Wikipedia and Google’s image search say that Dove Gray is gray with a hint of pink or blue in it. So…umm…there goes my easy explanation about whether it’s warm or cool (pink is warm, blue is cool). Color temperature is tricky, and this color pretty much embodies why that’s the case. Though red/orange/yellow are typically the warmer shades and green/blue/purple are typically cool, that’s not a hard and fast rule. Blues can feel warm to me, and there are certainly cool reds (ever try on lipstick?). What Dove Gray is to me, and you’re going to think I’m crazy here, is almost iridescent or luminescent. It kind of switches back an forth from warm to cool like an evening sky does, and to me, that reads much like a moon rock or a mood ring does. Iridescent. Luminescent. So there; are you with me now? 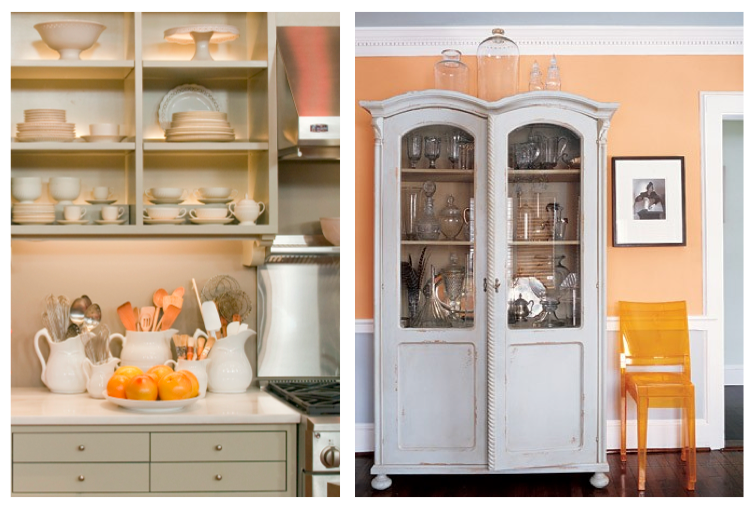 It’s such a sophisticated color that plays nicely with many other hues. It’s masculine and feminine, playful and serious, and richly infused with pigment. You can incorporate it into a monochrome room with other neutrals, or, you can pair it with vibrant shades like lime, magenta, or tangerine. Try it: it works with all of them (though maybe not together…). 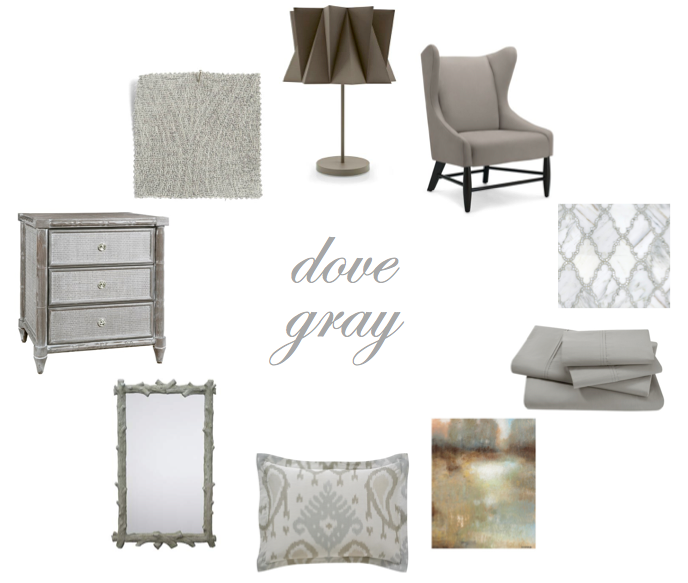 Here are some Dove Gray items that I think would be a great start to any room you want to feel cozy and calm. What’s your favorite? And what undertones do you see in them? Enjoy the Dove Gray, and have a great weekend! 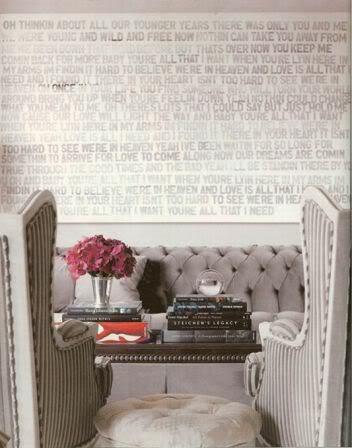 Design consultations for all styles and budgets: JGB Interiors. ← Flor is coming to DC! 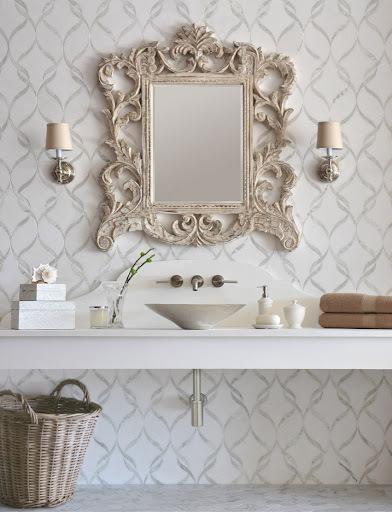 Have a Design Question? Need a Consultation? Time to face the facts…and an update! West Elm Is MAJORLY Stepping It Up With Hardware Options! Five Under $50: Hand Soaps That Don't Stink!